Against the background of the acute shortage of locomotives, the new management of the Ukrzaliznytsia public railway company has been campaigning for several months to persuade leading western manufacturers of rolling stock to enter into cooperation with it, and it has already signed several memoranda of cooperation. Among them is an agreement with General Electric under which Ukrzaliznytsia will test an American-made locomotive. The TE33A locomotive was presented in Kyiv on 28 September and tested over a period of four months. 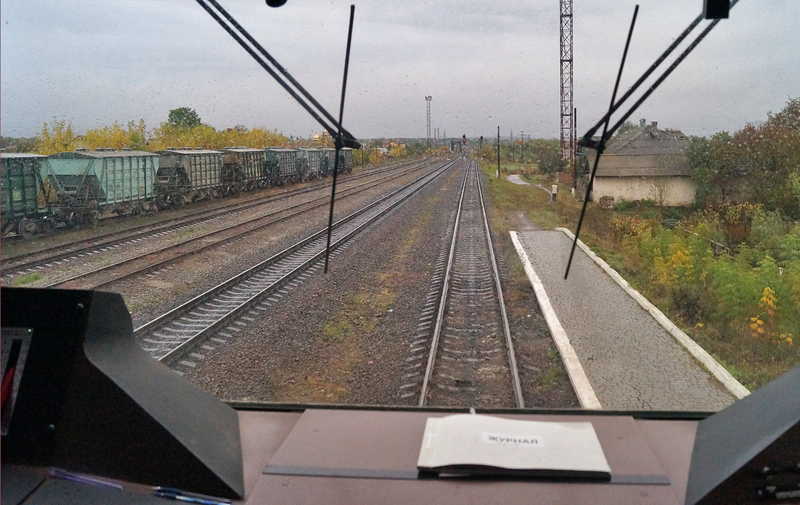 While Ukrzaliznytsia is merely testing the locomotive, we went to the Ivano-Frankivsk region on a rainy day in October to find out how a similar locomotive has performed in practice. 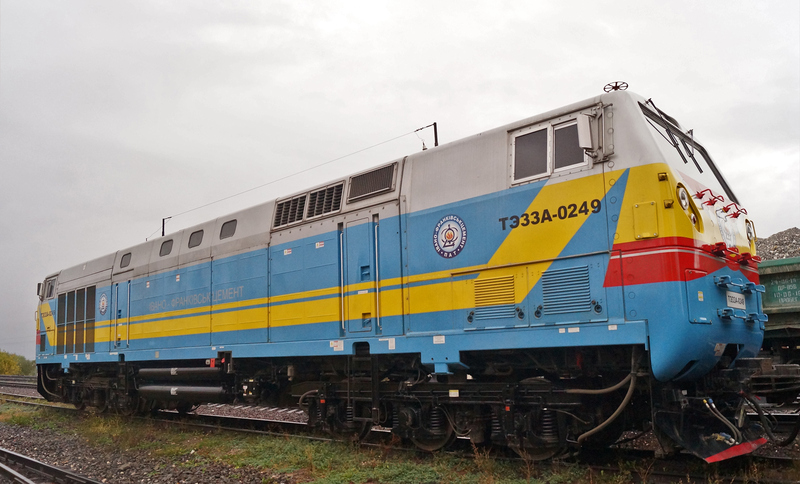 Not everyone has heard about it, but a TE33A locomotive manufactured by the General Electric company has been in regular service at the Ivano-Frankivskсement enterprise for three years. Ivano-Frankivskсement’s Transport Director Bohdan Skripiuk met us at the railway station in the regional center and too us to Yamnytsia, where the enterprise itself is located. In the car, Skripiuk told us the story of the cement industry: "There were 15 cement plants in Ukraine when the Soviet Union collapsed. Only five cement plants with full production cycles remain. Of these five, only one is Ukrainian: one of them is our plant and the other four are owned by multinational corporations." The plant sells its products to customers in Ukraine, Poland, Romania, the Baltic States, and the CIS. Back to the purpose of our visit. Ivano-Frankivskсement bought the TE33A locomotive from General Electric in 2013. To be precise, Ivano-Frankivskсement bought the locomotive from the Kazakh division of the company. For more than three years, the locomotive has been operating on railways in the Subcarpathian region. Railway shop employees refer to it simply as the "Kazakh." The Subcarpathia-based company asked Ukrzaliznytsia to test the "Kazakh." 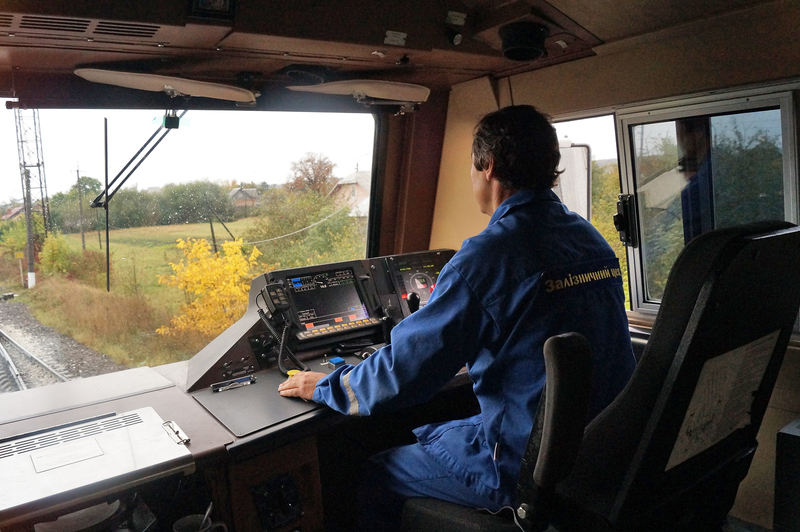 "We asked Ukrzaliznytsia to test our locomotive and evaluate it in action. Representatives of a locomotive service came to us from Lviv and we showed and told them everything. It all ended at that. I do not know why, but there was no response to our proposal at that time," Skripiuk said. 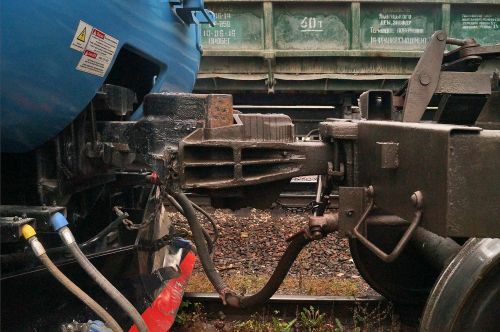 The situation involving Ukrzaliznytsia’s locomotive fleet became particularly acute this year, and the railway company eventually decided to test the TE33A locomotive. 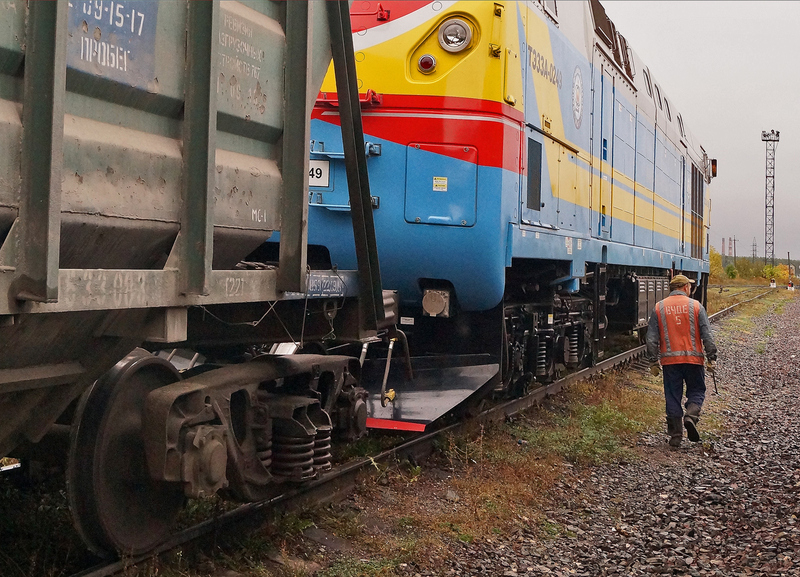 Upon arrival in Yamnytsia, Skripiuk explained why the company decided to purchase a new locomotive and why it decided to buy it from Kazakhstan. "We needed to acquire a new locomotive because of an increase in production volume. We first telephoned the Lugansk plant, but the response from there was somehow unfriendly. In short, we were interested but they were not. We continued our search. We found out about production of American locomotives in Kazakhstan. We made a telephone call to Kazakhstan and General Electric sent us documentation with the technical specifications of the locomotive after 15 minutes. Then, we traveled to Kazakhstan. Our delegation was there for one week. We watched production of the locomotive and studied it in action. We returned home with a contract. That was at the end of May 2013, and we received a locomotive painted in our colors at the end of September," he said, narrating a brief history of the purchase of the new locomotive. Then we tried to find out why the company chose a new locomotive instead of modernizing an old locomotive. Skripiuk offered a set of arguments in response to this question: "This locomotive compares favorably with the old two-cab 2M62 locomotives, which had a capacity of 4,000 horsepower. The single-cab TE33A locomotive manufactured by the General Electric company has 4,562 horsepower. The new locomotive has lower fuel consumption and it is much easier to maintain. Maintenance is performed once in 92 days. We have signed a technical maintenance contract with the Kazakh division of General Electric. We perform an oil analysis every fortnight and send the results to Kazakhstan. During technical maintenance, an expert comes from Kazakhstan to replace the filters, oil, etc. Meanwhile, the M62 pulls into the pit every two days. The TE33A consumes 3 kilograms of oil per ton of fuel while the M62 consumes 50 kilograms. Of course, the new locomotive is better. In addition, it has a better safety system and a higher comfort level. 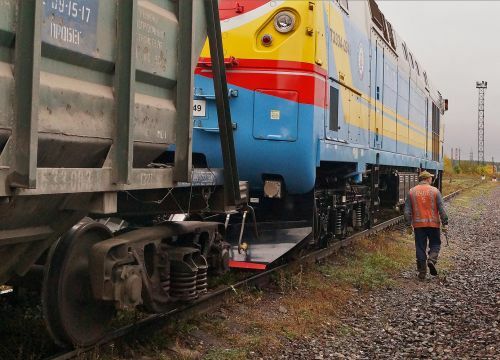 According to Skripiuk, the locomotive was previously used on the Dubovtsi-Yamnytsia railway stretch. Ivano-Frankivskсement is operating a limestone quarry in Dubovtsi, which is located 18 kilometers from Yamnytsia. 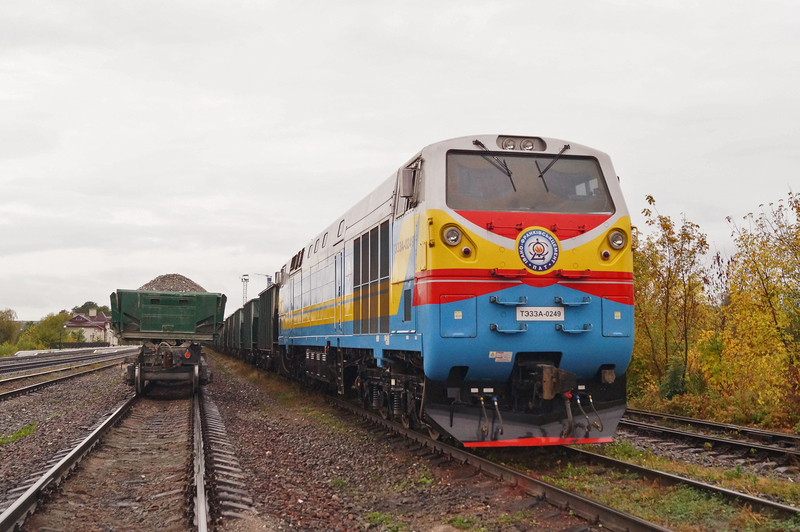 The "Kazakh" transported raw materials from the quarry to a factory in Yamnytsia. It performed up to four trips per day. The TE33A currently operates on the Yamnytsia-Khodoriv railway stretch. The deputy chief of the railway shop, Roman Cheverda, interrupted our conversation. We followed him directly to the Yamnytsia station, near which the "Kazakh" was located. On the way, Cheverda praised the new locomotive. "It is a great locomotive. We do not operate it at full capacity. Why kill the locomotive? It has almost constantly been engaged in transportation of goods between Yamnytsia and Khodoriv since July. Firstly, its performance has been good. There is a very steep and long ascent with many curves on the Burshtyn-Bukachivtsi railway stretch on the way to Khodoriv. On this difficult railway stretch, a loaded locomotive can travel at a speed of 70 kilometers per hour. Secondly, the locomotive is economical: it consumes less fuel, but its fuel tank has a large capacity. Therefore, the tank is filled less often. Thirdly, the locomotive is also easy to maintain. Yes, it requires good parts, but the parts last longer. The machine fully justifies itself," Cheverda said. We approached the crossing between the station and the factory depot. A TE33A locomotive that had already left the depot stood at the entrance. We entered the locomotive’s cab, where its driver Ihor and his assistant welcomed us. Although small, the cab is comfortable. The driver gladly informed us about the features of the locomotive. - Is it difficult to operate? - Not difficult. You just need to get used to it. We went to Kazakhstan for training. Experts came from there to break in the locomotive. - Was the training difficult? - No. Did it take you a long time to learn to work on a computer? There is definitely a lot of electronics in the cab. The computer collects data from sensors and displays them on the monitor. There is an impression that the driver is sitting and playing on the computer. When the locomotive starts to move, a beeper is activated in the cab. After a moment, the driver presses a button and the beeping stops. "It is to control my job: to determine whether I am moving consciously or whether I pressed the pedal accidentally," Ihor said. The locomotive has cabs A and B. The first cab is larger and the second smaller, although it not does not seem too small. In the cab A, you can find space for a small settee if you wish. Both cabs have hotplates to allow the driver to heat food. One of the cabs has a small refrigerator. "Everything here is made for people. There is air conditioning, heating, a hotplate, etc.," the driver said. Then the conversation turned to technical issues. "We have standard [weights] of 3,400 tons in the direction of Khodoriv and 4,000 tons in the direction of Yamnytsia. The rated speed of the TE33A is 120 kilometers per hour. On average, we travel at a speed of 60-70 kilometers per hour. The technical characteristics of the road do not allow us to travel faster. It can travel faster, but we have to stay within the norms," Ihor said. The TE33A looks larger than Soviet locomotives. "Yes, this locomotive is slightly taller than the M62. Initially, there were questions about whether it would fit under bridges. It fits within all the parameters of our railways. We traveled from Kazakhstan to Yamnytsia in it, and there were no problems with its size," the driver said. The "Kazakh" is adapted for driving in the rain. "The monitor displays the load on each electric traction motor. As soon as a wheelset slips, sand is sprayed automatically and the load on the wheelset is removed and transferred to another wheelset. The computer controls everything. When the situation normalizes, the load is distributed to all the wheelsets again," the driver said. Ihor also spoke about the simplicity of maintenance of the TE33A locomotive, compared with the M62 locomotive: "Only the brake pads are changed. All the bearings are of the closed type. The entire maintenance boils down to examining all the bolts, springs, pads, and wheels..."
The "Kazakh" operates normally on Ukrainian fuel. Ivano-Frankivskсement buys the same diesel for all its locomotives. 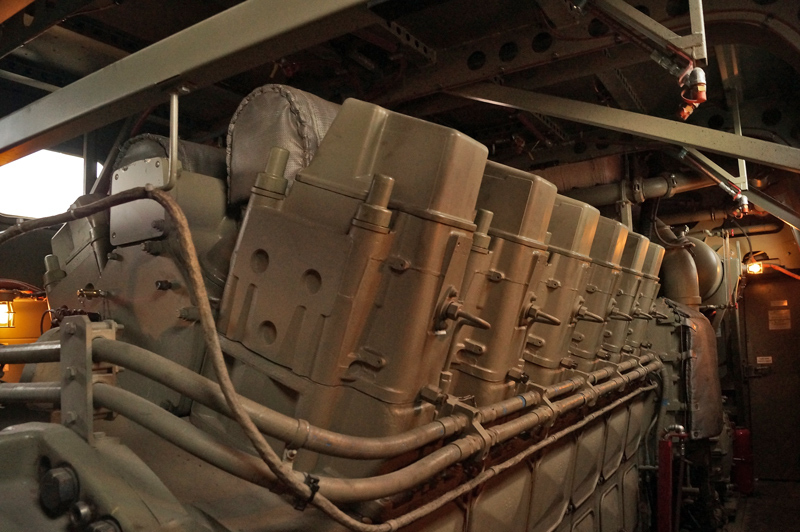 The tank of the locomotive holds 6.8 tons of diesel fuel. However, its capacity can be increased to 9 tons. According to the driver, the tank holds more than enough fuel for travel to Khodoriv and back. The distance from Yamnytsia to Khodoriv is 80 kilometers in one direction. The TE33A locomotive is equipped with a 12-cylinder engine. "Two cylinders are deactivated when the locomotive is idling for a long period and the locomotive continues operating on 10," Ihor said. This allows it to save fuel. Next, we asked about the cooling system. "It has a closed-type cooling system – a closed-type water system. It is filled with distilled water with a special additive called Nalco. The permissible water temperature is 110 degrees. If cooling is insufficient, the computer reduces the load. If that is not enough, the locomotive stops for cooling. We have not had anything like that. I have not yet seen the water heated above 90 degrees," the driver said. He discussed the locomotive’s undercarriage. "Its wheels are solid rolled, with no tires. The wheel flange has proven to be good. For three years, we have had no problems. As a rule, it wears out and needs turning, but everything is fine with this locomotive. Unlike the old locomotives, this one has composite brake pads. They protect the wheels," Ihor said. Regarding the capacity of the locomotive, the driver said, "The available receivers are sufficient. The main tanks hold 1,000 liters. The standard set for it is 55 railcars and 220 axles. There is space for an additional 1,000-liter tank, in which case long trains can be used. Such a tank is installed in Kazakhstan, but we have no requirement for it." The locomotive has a recording device that records data about its speed of travel, the operation of its braking system, and other parameters on a special floppy disk. The computer later decrypts the recording. In addition, the locomotive is equipped with a safety system. The locomotive can be shut down from the outside with a special button. "If a fire situation arises, a small fire can be extinguished with a fire extinguisher. If it is something serious, a stroboscope lights up, a safety pin breaks, a button is pressed, and a powder is sprayed on the entire diesel. The cab is equipped with a special rope ladder to enable the driver to descend without entering the engine room," Ihor the driver said. The TE33A left the station for Khodoriv with 45 wagons. We returned to Skripiuk in the office. Ivano-Frankivskсement has a special history with Khodoriv. For three years, the company has been asking Ukrzaliznytsia to allow it to use its own locomotives to transport its own cargoes from Yamnytsia to Khodoriv. The reason is simple – Ukrzaliznytsia does not have enough locomotives to allow timely transportation of the company’s products. 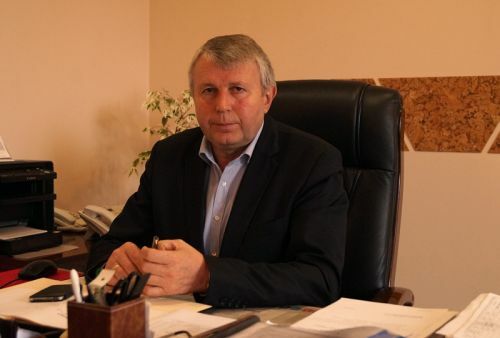 "We have long been asking Ukrzaliznytsia to give us permission to travel to Khodoriv, at least. There is a railway junction in Kleparov (Lviv). There is electric traction from Khodoriv to Lviv through Stryi. 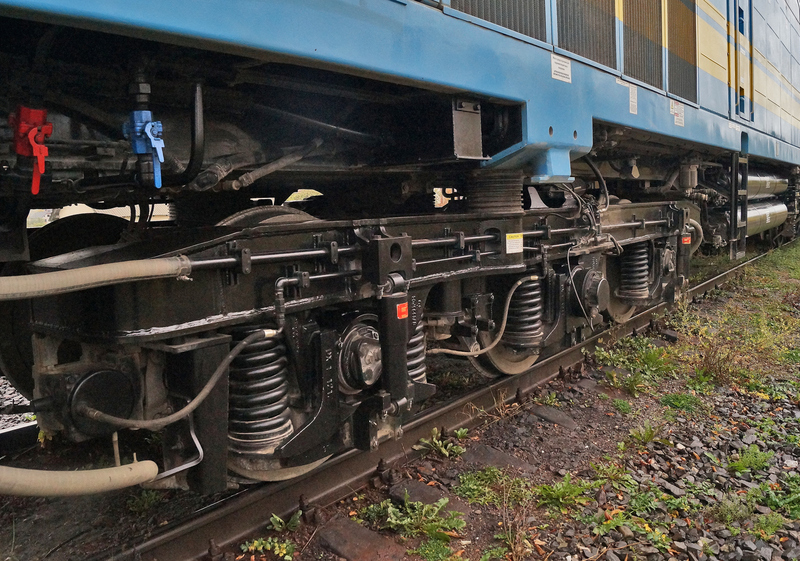 Electric locomotives can reach Kleparov, but there are problems from Yamnytsia to Khodoriv. We were denied permission for a long time, even though we prepared all the necessary certificates. The situation became so critical that shipment of products was delayed. We traveled to Khodoriv once last year. When we entered the station, we were charged more than UAH 22,000 for use of their infrastructure. In addition, we were charged the same amount for transportation of goods from Khodoriv, as if the goods were transported by them and not by us. Afterwards, we spent a lot of time demanding compensation for the delivery of the goods," Skripiuk said. 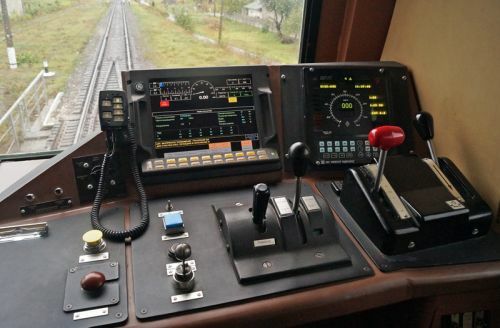 However, this year, Ivano-Frankivskсement reached a compromise with Ukrzaliznytsia and received permission to operate its own locomotive on the national railway. "We managed to reach a compromise at the beginning of this this year. 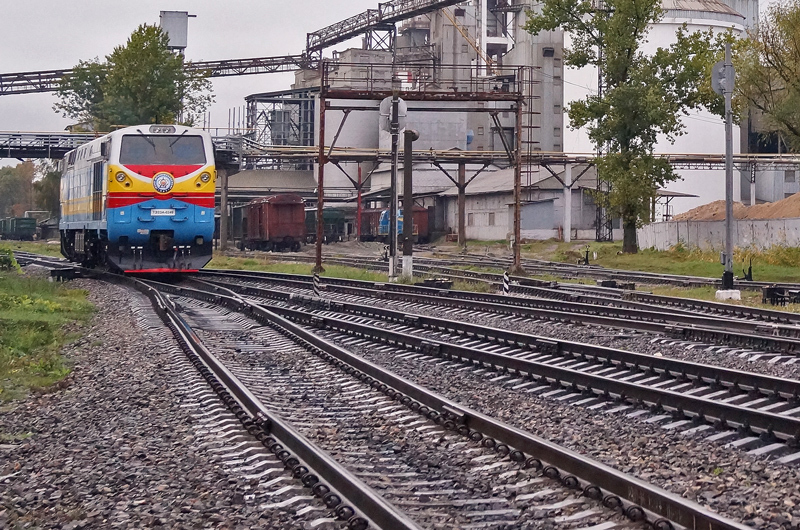 Ukrzaliznytsia introduced tariffs for private locomotives that have their own crews. At the beginning of July this year, we were granted permission to travel to Khodoriv as an experiment. The cost of this service has reduced from UAH 22,000 to UAH 8,000," Skripiuk said. How did the cement plant benefit from such an experiment? Ivano-Frankivskсement used its own TE33A locomotive to transport about 397,000 tons of cargo from 8 July to 26 September. However, the company made an additional payment of approximately UAH 1.2 million for transporting its own goods that Ukrzaliznytsia should have transported. The company is now trying to resolve the issue of compensation. Ivano-Frankivskсement produced 1.2 million tons of goods in 2015, of which 70% was transported by rail and only about 30% by road. On average, about 40 hopper cars – i.e. an entire train – are loaded per shift at the plant. 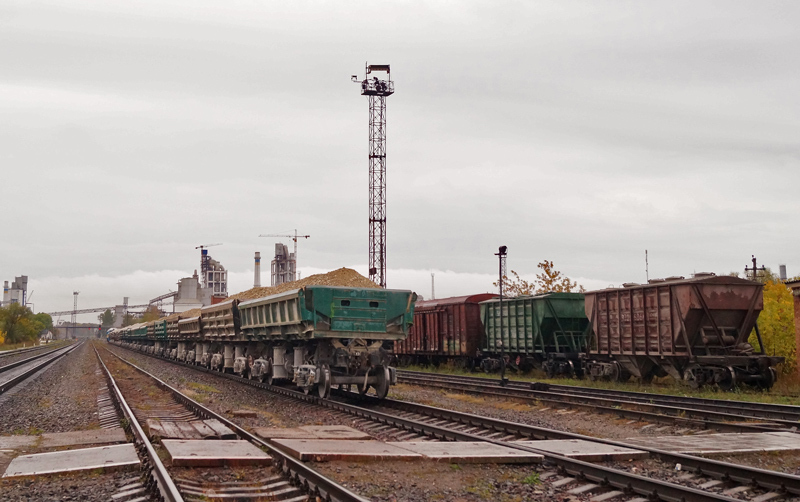 In addition, wagons loaded with coal, granulated slag, and ore necessary for production of cement are also pulled to Yamnytsia. "On average, we load about 2,500 and unload 1,200-1,500 railcars per month. Therefore, we cannot afford to have our railcars idling at a station or at our factory," Skripiuk said. In addition to the "Kazakh," Ivano-Frankivskсement has other locomotives and its own railcars. The company is constantly working to increase its rolling stock. "We have bought two more 2M62 diesel locomotives this year. In total, we have 13 locomotives – three 2M62, one M62, and one “Kazakh." These are mainline locomotives. The others are shunting locomotives – six TEM and two TGM23 locomotives of the models B and C. We plan to buy five more TGM locomotives because we are increasing our production volumes. We are launching a railcar dumper in order to accelerate cargo unloading and the turnaround time of gondola cars. Therefore, additional shunting locomotives are needed," Skripiuk said. The difficulties in relations with Ukrzaliznytsia are not limited to the issue of traction. "Today we have about 650 hopper cars, out of which we own about 80 and lease the rest. We plan to increase our fleet. In terms of percentage, we own or lease about 75% and Ukrzaliznytsia owns 25%. Our production would stop if we relied on Ukrzaliznytsia’s hopper cars alone," Skripiuk said. He added that Ivano-Frankivskсement owns 5 kilometers of track in its quarry and 22 kilometers on the territory of its plant. The company does not intend to stop there. New tracks are needed on the territory of the plant because the length of the tracks at the Yamnytsia station cannot cope with the flow of railcars. After such a story, the question naturally arises, "Are you ready to become a railway operator?" In response, Skripiuk said, "I can see that there is great resistance to such intentions from Ukrzaliznytsia. We have learned this from our own experience. For three years, we were denied permission to transport our products with our own locomotives. 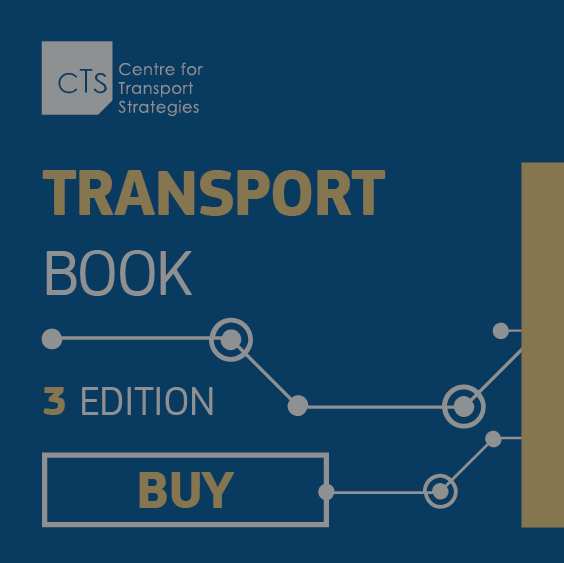 In neighboring countries – Poland and the Czech Republic – there are private operators, the appropriate legal frameworks have been established, and tariffs have been set. However, we are primarily a cement plant and our main objective is production of cement. As the saying goes, “a tailor should sew.” Therefore, we should produce cement and Ukrzaliznytsia should transport cargoes. However, the current situation is such that we are forced to transport our own goods.